Wildland fire is a natural process, and is necessary for the survival of many plants and animals. But no one wants to see homes lost to fire. If you live near wildlands, your home may be at risk. Our Firewise program involves homeowners, developers and other community members in an effort to protect people, property and natural resources from the risk of wildland fire - before a fire starts. We aim for safer design in home construction, landscaping and maintenance. Unfortunately, once a wildfire starts, firefighters may not have the time or resources to protect every home in its path. YOU CAN TAKE ACTION TO PROTECT YOUR HOME BEFORE A FIRE STARTS. When wildfire disaster strikes, there are places you can turn. The BLM has a community assistance program to help prepare you for such disasters. Follow our facebook page for updates. ©2008-2019 All Rights Reserved. 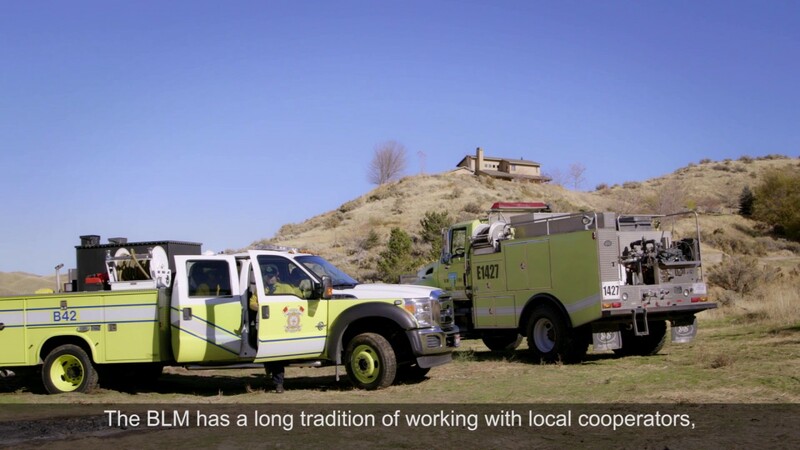 Twin Falls County Firewise. Web Site By: Doggett Consulting, Inc.